Based upon a lecture by the late Rev. Cecil Isaacson, Rector of Burnham Thorpe, at the University of California at Los Angeles in 1983. From his earliest days, Nelson was as familiar with the sound of the sea as he was with common village sounds. The lowing of cattle, the creaking of harness and farm wagon, the village blacksmith striking his anvil and the carpenter in his workshop using hammer, saw and plane. 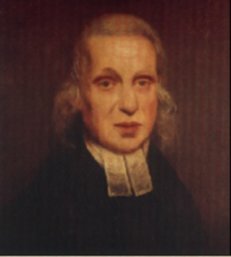 The Nelsons came to Burnham Thorpe in 1755, the Reverend Edmund to be the rector of Burnham Thorpe, Burnham Ulph, Burnham Sutton and Burnham Norton. Horatio was the sixth of his eleven children. The Rectory, where the family lived, was three quarters of a mile away from the church but, with it’s few acres of glebe land, was delightfully situated close beside the small but swiftly-flowing river Burn from which the seven Burnhams take their name. The routine of home and parish life must have been spartan and quite strenuous. The rector had his responsibilities in the four parishes. To these were added the management of his glebe which would produce a substantial portion of his not very adequate income. For a child with a natural curiosity about the wider world, in the quietness of morning or evening, in the stillness of the night, there was the sound of the sea, murmuring or pounding on the coast, which for him was the frontier of the wider world. And, as a reward for the effort of a half hour’s walk there would be captivating sights of sea-going ships with their cargoes, and contacts with merchant seamen, so fascinating for a small boy. Here, in 1758, Britain’s and perhaps the world’s greatest sailor was born and spent his first twelve years within the sound and call of the sea. In the few short years of his formal education, Nelson went to three Norfolk schools. First came Norwich Grammar School, in the Cathedral Close, where he is commemorated by a statue which stands facing the school chapel and near the west end of the cathedral. One hundred yards away, near the other main gateway into the close, is the statue of the other great leader against Napoleonic oppression, the Duke of Wellington. There is a graphic little picture of his connection with the less well-known school at Downham Market, a small town on the Norfolk-Cambridgeshire border: a fellow pupil, possibly Captain George Manby, writing in a service magazine, says that he and Nelson were school-fellows at Downham Market; that their master was called Noakes; that Nelson had a green coat; and that it was Nelson’s pleasure to set smaller boys working the pump in the village street so that he could sail paper-boats in the resulting stream of water. The third school was the old-established Paston Grammar School at North Walsham (A Group Member of The Nelson Society) which still proudly supports the Nelson tradition. Among other memorabilia they have a pencil box believed to have been Nelson’s and a brick from the school wall with “HN” carved into it. The Rev. Edmund writes about himself:” As to the society in me, I never mixed with the world enough at a proper period of life, to make it entertaining or valuable on any account, except a willingness to make my family comfortable when near me and not unmindfull of me when at a distance, and as it has fallen to my lot to take upon me the care and affection of double parent, they will hereafter excuse where I have fallen short and the task has been too hard”. It is known that the rector had employed a nurse to care for the younger children. Her name was Blackett; she afterwards married a Mr. High, landlord of the “Old Ship Inn” at Brancaster, the next village along the coast. A relation of hers was called Valiant High, after a Burnham man who served at Trafalgar. The financial problems of the Nelson family were probably the reason why, in spite of their father’s tender care, all the children sought for means to fend for themselves at the earliest possible age. Susannah, the eldest girl, was first to leave. She was apprenticed to a “reputable Milliner” in the town of Bath, Somerset, a long way from Norfolk, but a town which comes not infrequently into the family story, as the Rev. Edmund went there for fairly lengthy periods on account of his health. The record shows that, after three industrious years, Susannah “went assistant into a shop”. Shortly afterwards, she had three strokes of good fortune: one, a legacy of Â£500 from a family friend, John Norris, and another from her uncle, Captain Suckling. This, perhaps, helped her prospects; at any rate, when she was twenty-six, she married Thomas Bolton of Wells in Norfolk, a prosperous coal and corn merchant. The couple came to live in Burnham Market where their house is called Bolton House to this day. In 1813, Susannah died. Horatia, the daughter of Lord Nelson and Lady Hamilton, came to live there with her uncle, Thomas Bolton, after her mother’s death. And it was from this house that she married the curate of Burnham Westgate church, Philip Ward, in 1823. Her story is fascinatingly told in a book called “Horatia Nelson” by Winifred Guerin. Then there was Maurice, five years older than Horatio; he became a clerk in the Navy Office. William, one year older than Horatio, graduated from Cambridge and was ordained. He it is who succeeded to the title after Nelson’s death, and he is probably the least attractive of the family characters, becoming very arrogant and pompous. 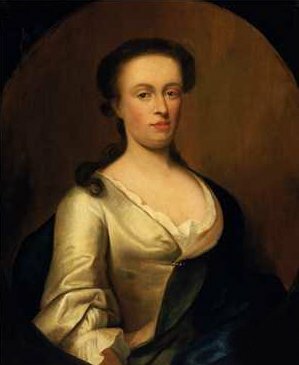 Anne, the next child after Horatio, died at the age of twenty-one. 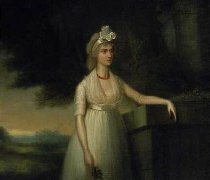 Nelson wrote of her to William Locker in November 1783: “She died at Bath after a nine days’ illness… it was occasioned by coming out of the ball-room immediately after dancing”. The next child, Edmund, was hopeful of assisting in the Bolton business but was handicapped by precarious health and he died at twenty-eight. Another son was given the name Suckling, his mother’s maiden name. He was probably of more worry to his father than any of the other children and he did not seem willing to settle to anything. Eventually, he took Holy Orders but he died at thirty-five, after what his father privately recorded as a ‘a very convivial evening’ in a farmer’s parlour. George, another brother, died in 1766, aged eleven. Catherine, the baby of the family was a favourite of Nelson’s. He wrote of her in a letter to his brother William: “My small income shall always be at her service and she shall never want a protector and sincere friend while I exist”. However, she became well provided for: she married George Matcham. It was a happy adventurous marriage: George belonged to a family who had made money from business interests in India and he was described by Lady Nelson as having a passion for travelling. He was charming, cultured, handsome and his chief outlet for energy seems to have been building, renting, exchanging houses all over Norfolk, Hampshire and around Bath. As to Horatio, he also had definite ideas of what he wanted to do. His uncle Maurice was a captain in the Navy and, at a time when their father was away at Bath, Nelson persuaded his brother William to write to their father asking him to approach Uncle Maurice for his help in joining the Navy. Captain Maurice’s (above) reaction is well known. He sounds derisive and scornful: “What has poor Horatio done, who is so weak, that he above all the rest should be sent to rough it out at sea ? But let him come: and the first time we go into action, a cannon-ball may knock off his head and provide for him at once”. The result was that Nelson reported to Chatham to join his uncle’s ship Raissonable. The frail twelve-year old boy, arriving alone in March 1771 to a bleak welcome is a moving thought because Uncle Maurice was on shore leave and for some days there was no-one to look the young lad. Years later, in a conversation at a dinner-party Nelson asked a midshipman at what age he had joined the Navy: the latter replied: “Eleven years, my lord”; Nelson, in a sad voice, said: “Much too young”. 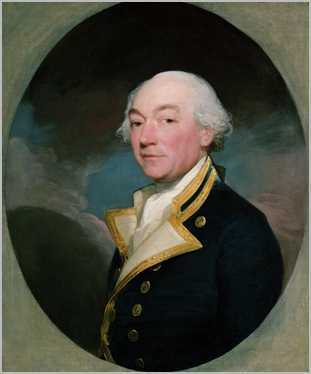 The year under Captain Suckling would give Nelson a good grounding in seamanship and, considering the zest with which he entered on any enterprize, we may assume he progressed well. The next step seems to show the wise guidance of his uncle in Nelson’s training. He suggested that he should do a year’s service in the Merchant Navy. Consequently, Nelson joined a ship of the firm of Hibbert, Purrier and Horton bound for the West Indies. At the end of this voyage Nelson wrote “..if I did not improve my education, I came back a practical seaman with a horror of the Royal Navy,” but, having to return to the Royal Navy, he added: “It was many weeks before I got in the least reconciled to a man-of-war, so deep was the prejudice rooted”. Naval biographers seem to recognise the value of this year in Nelson’s training; it gave him an understanding of the merchantmen’s outlook and their important part in the sea-going affairs of the world. The expedition got within ten degrees of the North Pole but produced no very valuable results: they became so ice-bound that it was once thought that they would have to abandon the vessels. Nelson seems to have savoured this experience; he begged to be given command of a four-oared cutter being fitted out to leave the blocked-up ships; he said: “I prided myself in fancying I could navigate her better than any other boat on the ship”. Captain Lutwidge, who outlived Nelson by ten years, used to tell this story: “One night, during the mid-watch, it was concerted between Nelson and a shipmate that they should steal together from the ship and endeavour to obtain a bear’s skin. They took advantage of an approaching fog and thus escaped unnoticed. The adventurers were missed by those on board and the anxiety of Captain Lutwidge was very great. In the morning the mist somewhat dispersed and the hunters were discovered at a considerable distance attacking a large bear. The signal was made for their return but it was in vain. 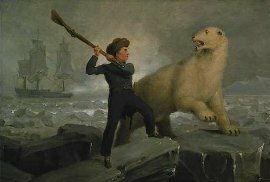 The Captain, seeing the young man’s danger,ordered a gun to be fired to terrify the animal. This had the desired effect but Nelson was obliged to return without his bear. Captain Lutwidge reprimanded him sternly and desired to know what motive he could have for hunting a bear ? “Sir”, replied Nelson, “I wished to kill a bear so that I might carry it’s skin to my father”. This venture ended, Nelson was eager for more. Hearing that a squadron was fitting out for the East, he said: “Nothing less than such a distant voyage could in the least satisfy my desire for maritime knowledge. I was placed in the Seahorse of 20 guns with Captain Farmer”. It was an adventurous trip, but at the port of Bombay, December 1775, Nelson suffered from high fever; the surgeon of the Salisbury decided that his only chance of recovery was a voyage to England and Nelson was transferred to the Dolphin for this purpose. In his severe illness, Nelson suffered deep depression but then had a remarkable experience which he related later to R. W. Spencer at Downton Castle in Herefordshire. He thought he saw a shining orb which beckoned him on and “a sudden glow of patriotism was kindled within me and presented my king and country as my patron. My mind exulted in the idea. “Well then”, I exclaimed, “I will be a hero and, confiding in Providence, I will brave every danger”. On 8th. April, 1777, Nelson took and passed his examination as a lieutenant and received his commission as second lieutenant of the frigate Lowestoffe under Captain William Locker. With Locker he returned to the West Indies, a place of duty which is said to have been regarded with “fascinated horror” by all seamen because of the fever which they called “yellow Jack” from which there were may casualties. It was here in 1779 that Nelson was promoted to Captain and appointed to the command of the frigate Hinchinbrooke of whose 200 officers and men only ten survived and Nelson himself was invalided home. After recovery, he took command of the frigate Albemarle and he returned to North America where he had his first recorded passionate love affair; Mary Simpson was a beauty of sixteen years. His infatuation for this girl almost led him to desert his ship for which, of course, he would certainly face a court martial. At the moment of weighing anchor and sailing away, Nelson was seen by his friend, Alexander Davidson, in a small boat going back to the shore. 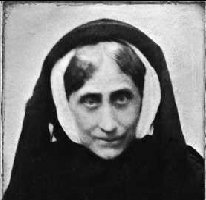 In reply to Davidson’s query, Nelson replied it was impossible for him to leave Quebec without seeing Mary Simpson again, for he wanted to make to her his proposal of marriage. “If you do” said Davidson, “Your utter ruin must inevitably follow”. “Then let it follow”, said Nelson, “for I am resolved to do it”. – “And I am resolved you shall not”, said Davidson, and Davidson won the day. Shortly afterwards, the Albemarle arrived back in Britain. The emergence of America as independent after the war with Britain was followed by a period of peace. Some Navy commanders came out with fortunes made from prize money they had taken. Nelson had not acquired any such wealth so, while many of the affluent went off on a grand tour, the best Nelson could afford was a visit to France, with a friend, for the purpose of learning the language. It is not thought that he achieved any significant success in this endeavour, but he did leave on record some vivid descriptions of life in France in his letters; also, he again revealed his weakness where the attractions of a pretty girl were concerned. He became friendly with an English clergyman’s family who were staying at St. Omer and fell in love with one of the two daughters. He wrote to his uncle, William Suckling on 14th. January 1784: “Will you, if I should marry, allow me yearly Â£100 until my income is increased to that sum …? A very few years I hope would turn up something, if my friends will but exert themselves. If nothing can be done for me, I know not what I have to trust to. Life is not worth preserving without happiness; and I care not where I may linger out a miserable existence. I am prepared to hear your refusal, and have fixed my resolution if that should happen … and pray … you may never know the pangs which at this instant tear my heart”. As it happened, Uncle William did not have to pay up because when Miss Andrews realised that Nelson had it in mind to make a proposal of marriage, she promptly turned him down ! Relief of mind from the pain of rejection came quickly in the form of a new appointment. He was given command of the frigate Boreas bound for the West Indies. It was a period which brought unpopularity for him in the performance of his duties. The privilege of free-trading by American ships with the remaining British islands had been withdrawn by a Navigation Act. These laws were being infringed and widely ignored, not only by the traders but by his own admiral and the governor of Leeward Island. He therefore became an embarrassment to both sides. What is more, he had again lost his heart to an attractive woman, this time the wife of the Admiralty Commissioner at English Harbour, the naval base at Antigua. This succession of “affairs of the heart” came to a happier conclusion soon afterwards when he wrote to William Locker from the Island of Nevis in March 1786: “I think I have found a woman who will make me happy”. This, of course, was Frances Nisbet, a few months older than Nelson and the widow of a doctor; she had a five-year old son named Josiah. It turned out that Frances had been hoping to meet him and he received a favourable response from her. His duties, of course, soon took him away, but in the summer of 1786 he wrote to her: “As you begin to know something about sailors, have you not often heard that salt water and absence always wash away love ? Now, I am such a heretic as not to believe that Faith; for behold, every morning since my arrival I have had six pails of salt water at daylight poured upon my head and….I perceive the contrary effect”. They were married at Nevis on 11th. March 1787 and two months later Nelson sailed in the Boreas for Portsmouth and Frances and Josiah followed in a comfortable West-Indiaman. At the end of that year, Boreas was paid off and Nelson was put on half pay. To provide accommodation for them, his father moved out of the rectory into a small house in Burnham Ulph. Greatly frustrated, Nelson was left on half pay for five years. Within the limit of his means, he tried to lead the life of a country gentleman. He visited relations and developed a concern for the economic poverty of the Norfolk country folk. Because of the neglect of them by the “country gentlemen”, in 1792 he wrote to the Duke of Clarence (the future William IV): “They are really in want of everything to make life comfortable”. And he enclosed in his letter an “Account of the Earnings and Expenses of a Labourer in Norfolk with a Wife and three Children” in which he recorded: “Not quite twopence a day for each person; and to drink nothing but water”. Accustomed as she was to the warmth of the West Indies, Fanny found the cold of Burnham Thorpe Rectory in the winter almost unbearable and she agreed with Rev. Edmund who described the snow-bound village where all is “Hush, at High Noon as at Midnight”; she was soon taking to her bed for days on end with rheumatism, coughs and colds. Nelson kept abreast of the news of international affairs and was depressed that no sign of getting a new command seemed to be forthcoming. News from Paris of the trial of Louis XVI struck him with horror. Yet, his repeated applications to the Admiralty for employment only received acknowledgement of “receipt of your letter” until January 1793. A fortnight before King Louis was executed at the guillotine, Nelson was called to London and told that he had been chosen to command a ship-of-the-line (battleship). She was HMS Agamemnon of 64 guns, slightly smaller than the more common 74 gun ships favoured by most navies. But, her speed and manoeuverability suited his impulse for taking surprise initiatives and using unconventional tactics. In the twelve years that followed, Nelson rose quickly through the ranks. 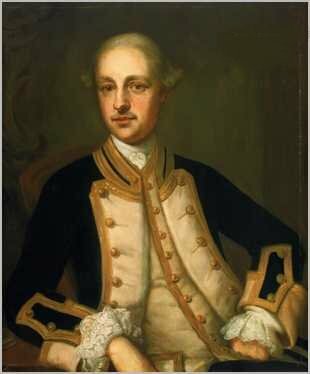 He was knighted in 1797, made a Baron in 1798, a Viscount in 1801 and Commander in Chief, Mediterranean Fleet in 1803. Details of these momentous years covered elsewhere in this website. During his last year, 1805, Nelson was indefatigable. In HMS Victory, refitted because she was already an old vessel, he set out to defeat the Combined Fleet of France and Spain under the command of Admiral Villeneuve. This led to the epic chase when the British fleet persued the Combined fleet all the way across the Atlantic to the West Indies and back again ! On 20th. August, Nelson returned to Merton , the home that he and the Hamiltons had bought in what is now South West London. Sir William had recently died. These twenty-five days were the last he was to spend with Emma and their daughter Horatia. On september 25th., a Sunday, he joined the Victory again at Portsmouth. Thirteen days later, he was with his fleet patrolling the Atlantic coast of Spain where, in Cadiz, the Combined fleet lay at anchor. On 20th. October, Villeneuve ordered his fleet to sail in the hope of evading the British fleet and making the Strait of Gibraltar and the relative safety of the Mediterranean. He didn’t make it. Only eight of the captains had served with Nelson before, but after the meeting with them, he wrote, “When I came to explain to them the ‘Nelson Touch’, it was like an electric shock. Some shed tears, all approved. ‘It was new – it was singular – it was simple’ “. When all was ready, Nelson said to Captain Blackwood of Euryalus (the last captain to leave for his own ship): “I’ll now amuse the Fleet with a signal.” and ordered: “England Confides that every man will do his Duty”. Pasco, the signal lieutenant, asked permission to change “confides” for “expects”, because the former word in the Popham code would have to be spelled out, instead of signalled in code. Nelson’s remains are not in Burnham Thorpe. He lies in St. Paul’s Cathedral; for, in a codicil subsequent to his will to be buried with his father, Nelson added: “….unless the King decrees otherwise.” And so it was that his wish to rest in the village of his homeland was not fulfilled.